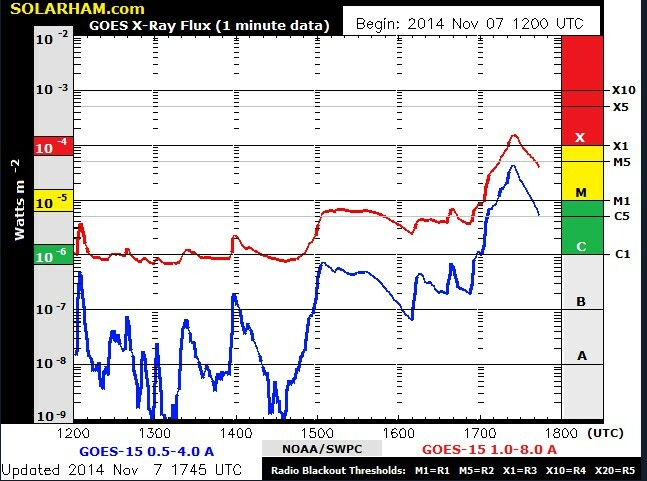 Solar activity is once again at high levels. 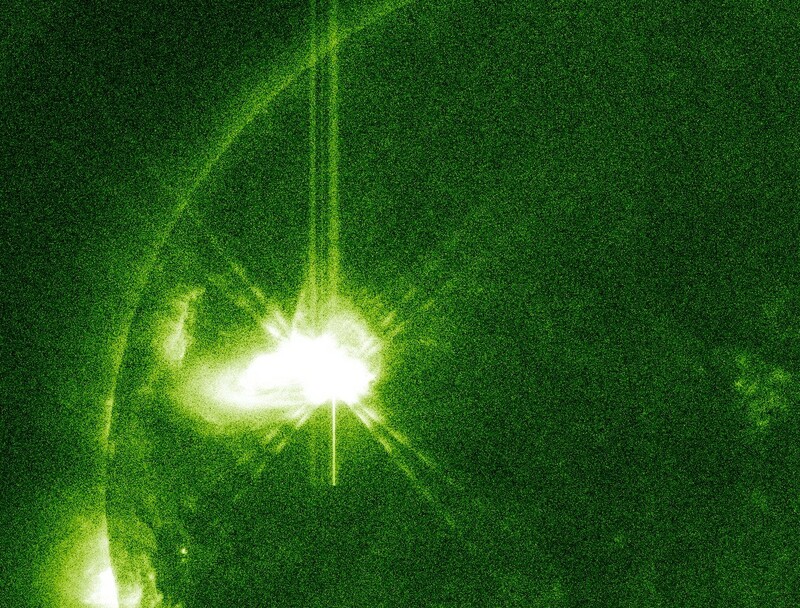 Region 2205 produced a strong X1.6 solar flare peaking at 17:26 UTC Friday. The event was associated with a Type II radio emission with an estimated velocity of 602 km/s. A short lived R2 radio black occurred on the sunlit side of Earth. 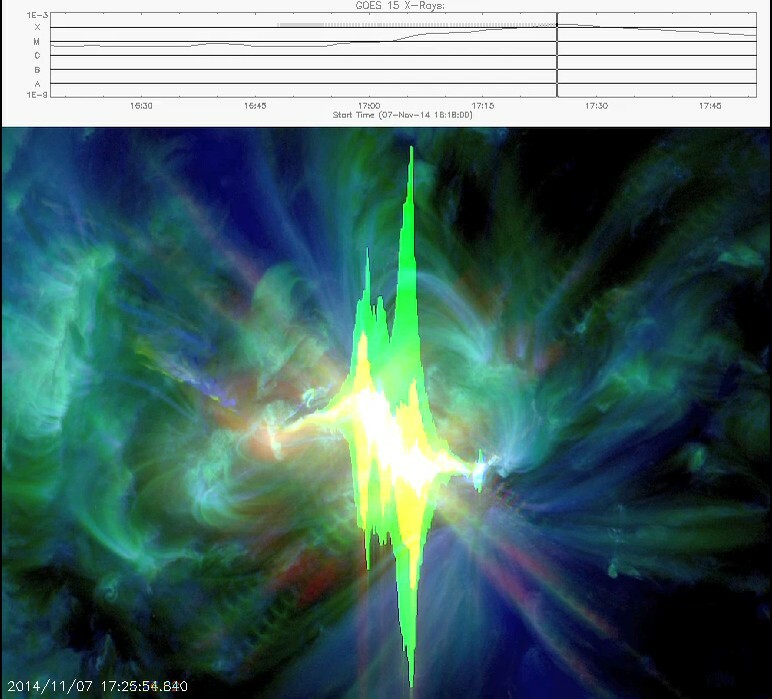 The flare generated a coronal mass ejection (CME) that appears to be directed to the north and east and away from Earth. Despite this, a geomagnetic storm watch has been issued for November 10th. A moderate G2 geomagnetic storm watch has been issued for November 10th. 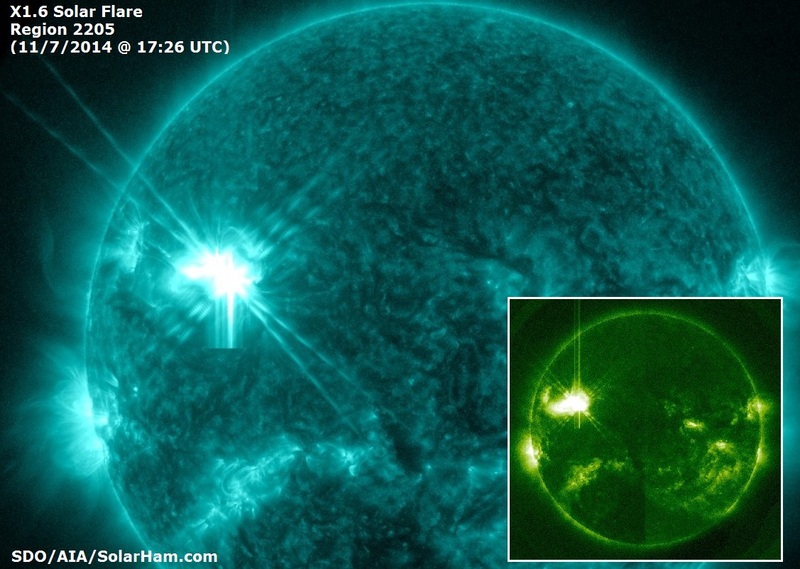 The watch was added as a result of the X1.6 flare and CME event from Friday. When watching the attached video courtesy of LASCO C2 and C3, you can clearly see that a bulk of plasma is traveling to the north and east and away from our planet. Despite this, sky watchers at high latitudes should remain alert. I do not personally expect G2 storm conditions to materialize, but then again, we have been surprised in the past. 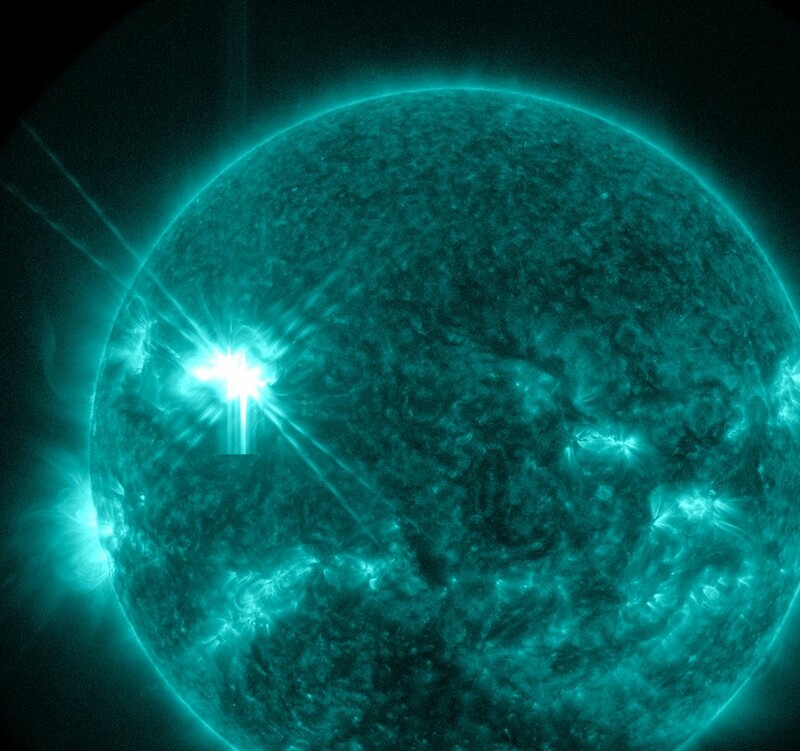 The CME generated by the X1.6 solar flare appears to be directed away from Earth. Little to no impact on our geomagnetic field is to be expected. 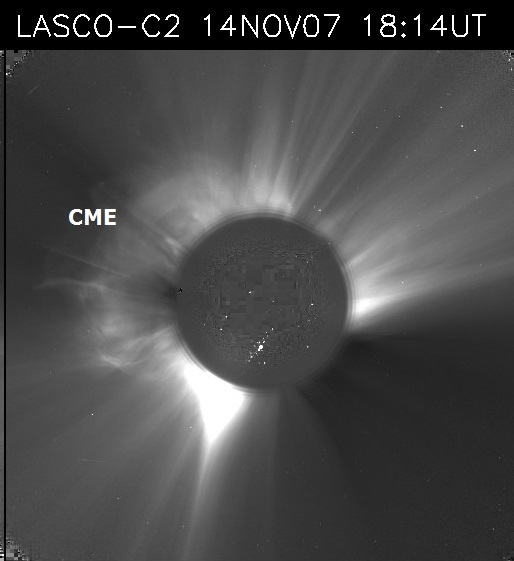 An updated coronagraph image courtesy of LASCO C2 confirms a CME. Video presentation of the event is now available. 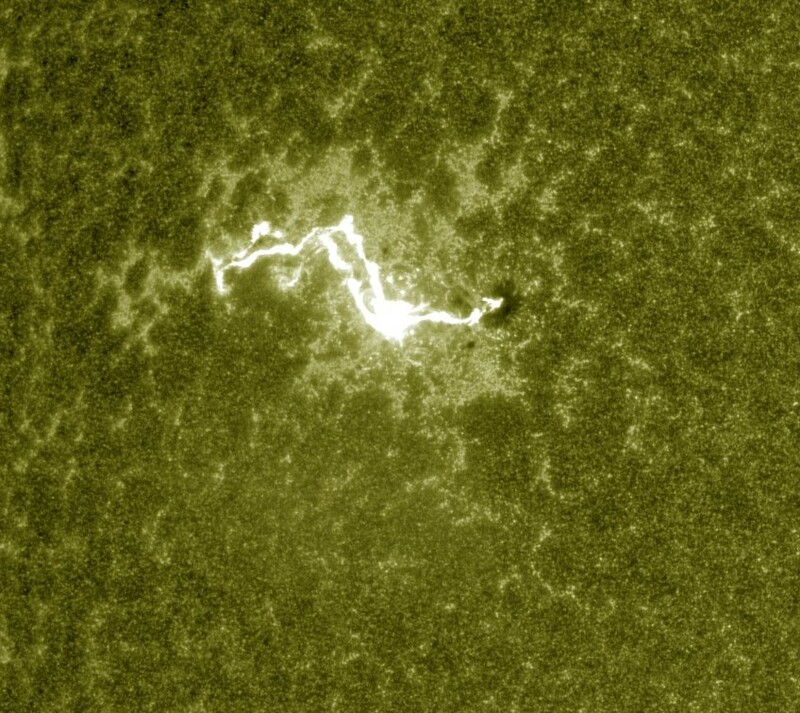 Updated imagery by AIA 193 shows dimming to the north of the active region following the event. 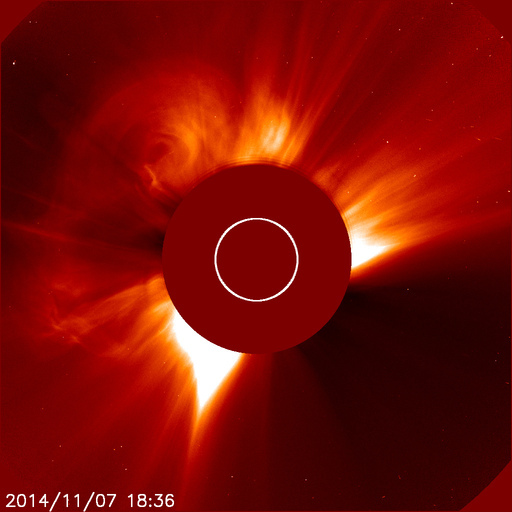 The CME is likely headed to the north and east. A possible Earth directed component will need to be determined once coronagraph imagery becomes available. 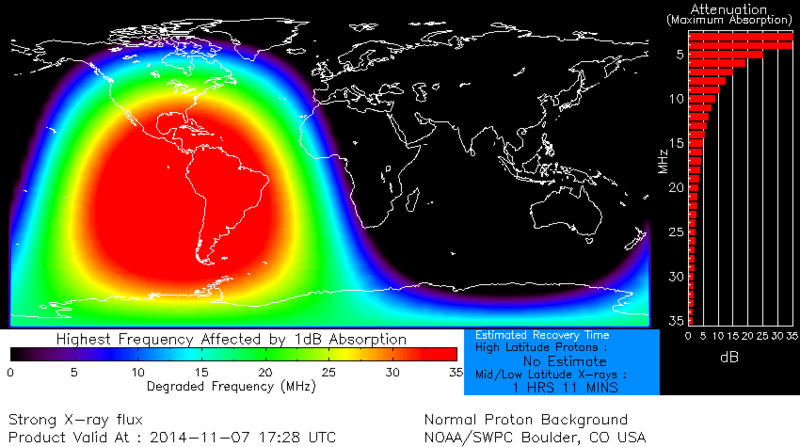 Type II and Type IV radio emissions associated with this event. This indicates a possible CME. More information to follow later today. 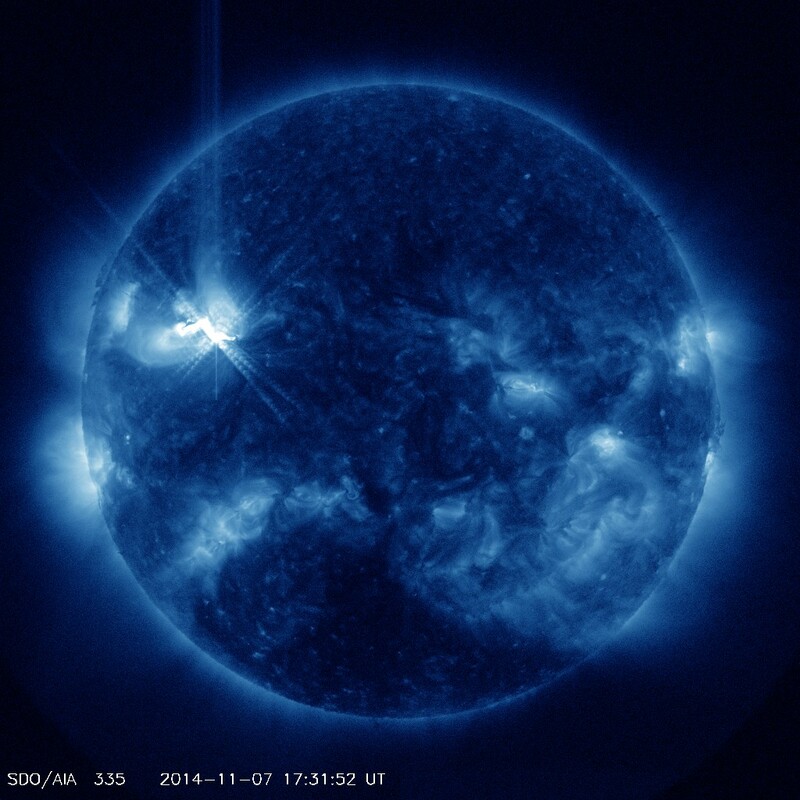 Sunspot region 2205 produced a strong X1.6 solar flare peaking at 17:26 UTC on November 7th. More details to follow.